Understanding the Bible has one purpose: to help the reader understand the Word of God. It seeks to accomplish what Nehemiah wrote, “ So they read in the book in the law of God distinctly, and gave the sense, and caused them to understand the reading” ().This work endeavors to give the sense of any given passage of Scripture and help the reader to understand the reading. The Understanding the Bible has not been written for scholars or academia, but for pastors and Christian workers out on the firing line. Nevertheless, scholarship and accurate exposition of the Scriptures are intrinsic. Sunday School teachers, church staff, Christian school teachers, home schoolers, and any student of the Word of God will also find Understanding the Bible to be most helpful. 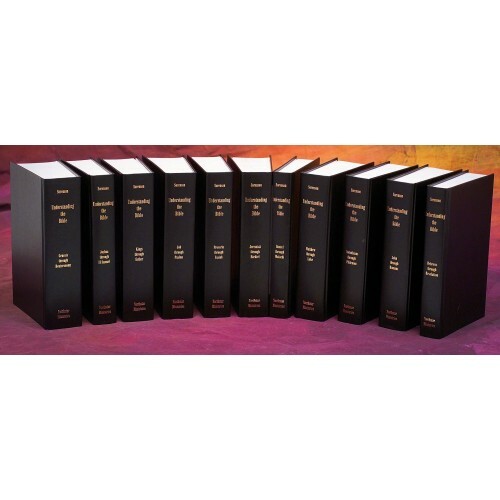 The Understanding the Bible commentary set is 8,368 pages long in 11 hardbound volumes. There is no other commentary set available today which is comparable to it. It is a new and refreshing commentary on the Word of God. This project has been in the making for over ten years. 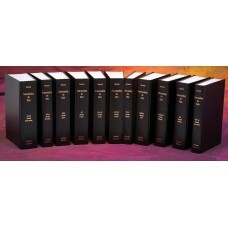 This item is a Bible Analyzer module download that contains the complete text of the printed edition. It is NOT the printed books. Upon order completion you will receive a special download link. The normal price is $125.